Sorry I haven’t been around for a while but I have an excuse. We have been in Adelaide for their Cabaret Festival. I must say, we were very impressed. For a small city, they put on a great, well-organised festival. We were also impressed with how well patronised the shows were. Most of the shows were either booked out or had only a few empty seats. We saw eight shows in the week. Most of the shows were at the Festival Centre. What a great idea that is. Perth needs one. It has a number of venues of various sizes in the one complex so a variety of shows can be on at the same time. Show times are also staggered so you can see more than one each evening. We saw two on three nights. It was fab. The centre had set up open fires, live music and pop up food stalls, selling better than average market food and good quality wine of which we partook between shows. We loved it. We are keen to go next year. Are souvenir coasters Maus picked up. At first, I rolled my eyes at her but now I think they look cool and are a great reminder of our little holiday. They really do reflect the joyousness of the occasion. 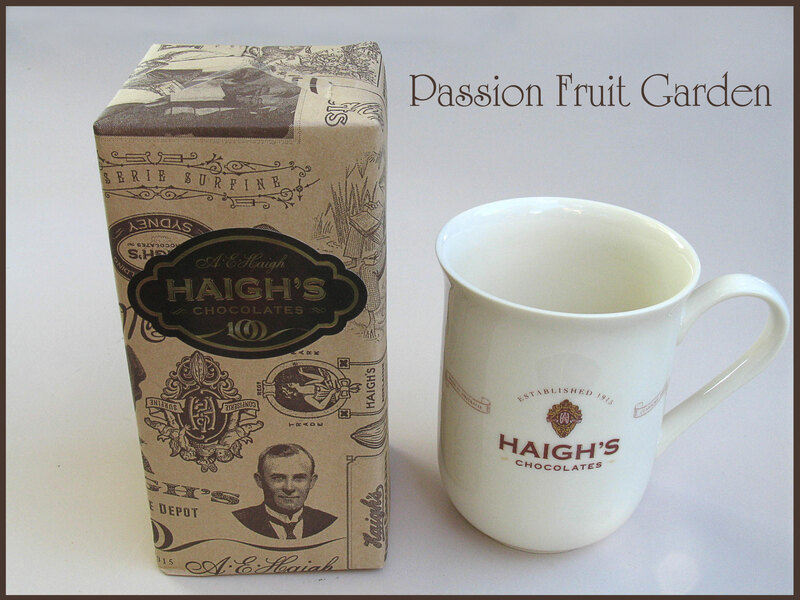 Of course, is Haigh’s chocolate. 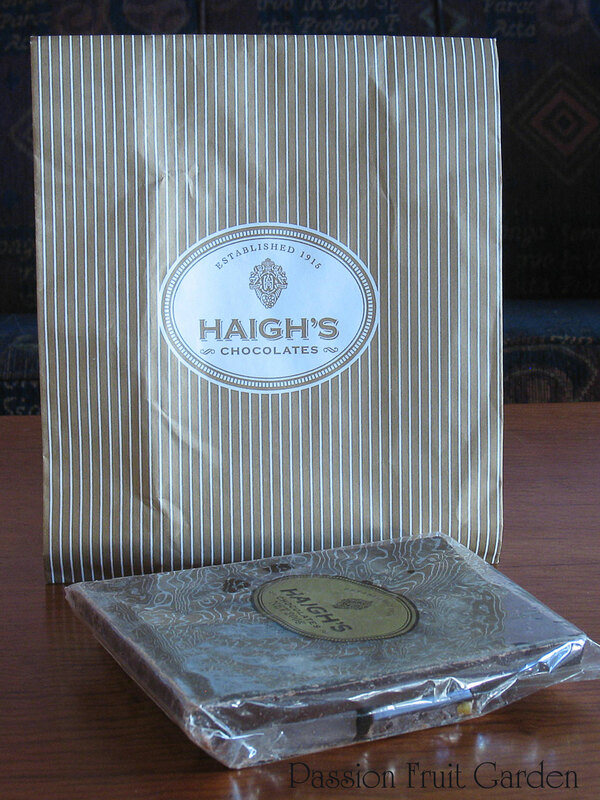 How can you go to Adelaide without buying Haigh’s chocolate? I did have more but I gave it to my sister for looking after Jules. The item in the photo is also a gift. Silly me, I didn’t buy any for us. I don’t know what I was thinking. Is some Haigh’s drinking chocolate. This is for me. I didn’t buy the mug on this trip. Are Charley’s nuts. Charley’s nuts are another Adelaide institution. Maureen’s sister, Pauline, started this tradition. She used to live in Adelaide and every time she came home to Perth to visit her family, she would bring each member a bag of Charley’s nuts. Poor Maus! I don’t think she got to eat many of the nuts. These bags are for family. I did buy a bag for us but, alas, I ate it all before I left Adelaide. I usually leave Maus the peanuts – no chocies or sugar coated almonds for her. 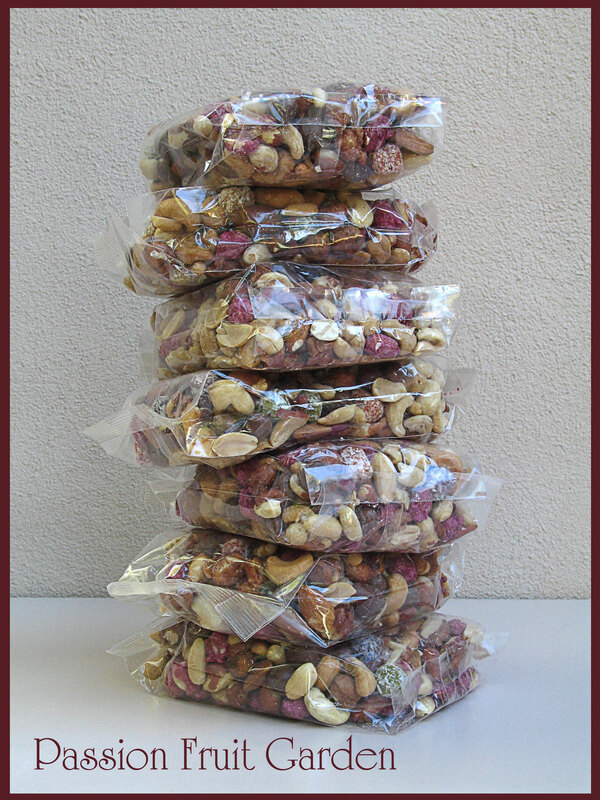 Sadly, the bags are now only 325g – they used to be 500gs. I don’t know what the world is coming to. 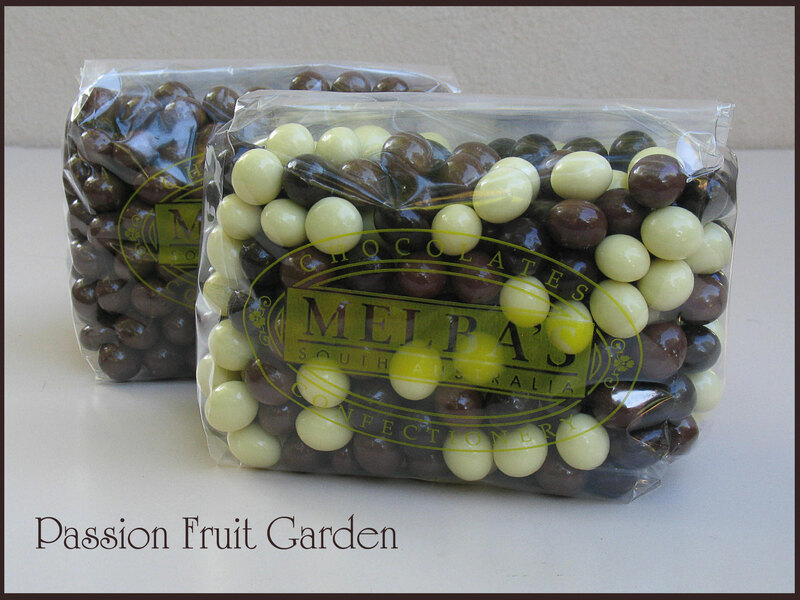 Are lots of Melba’s chocolate coated coffee beans. 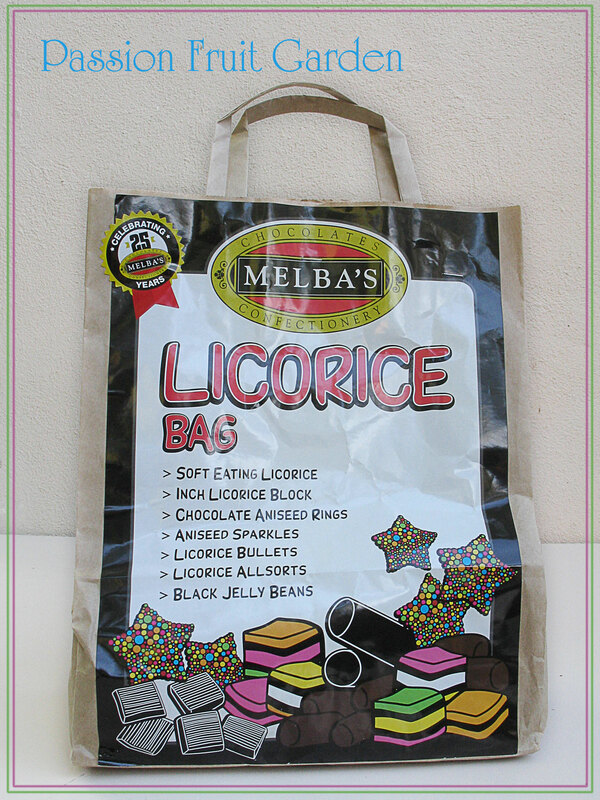 I hadn’t heard of Melba’s before this trip but my sister, Vickie, asked me to get some coffee beans for her son-in-law so I decided to do some research – hence the bag of mixed chocolate beans for me. Whilst we are at Melba’s, Maus decided to do a bit of research herself. We both love licorice so she decided to focus her research in that direction. So far, we are pretty impressed. Is some Spanish praprika. I’m sure you can get it in Perth but I just don’t know where so when I saw it at the fabulous Adelaide Central Markets, I decided to get some. I couldn’t decide whether to get the sweet or the hot so I got both. Why not? We were on holidays. 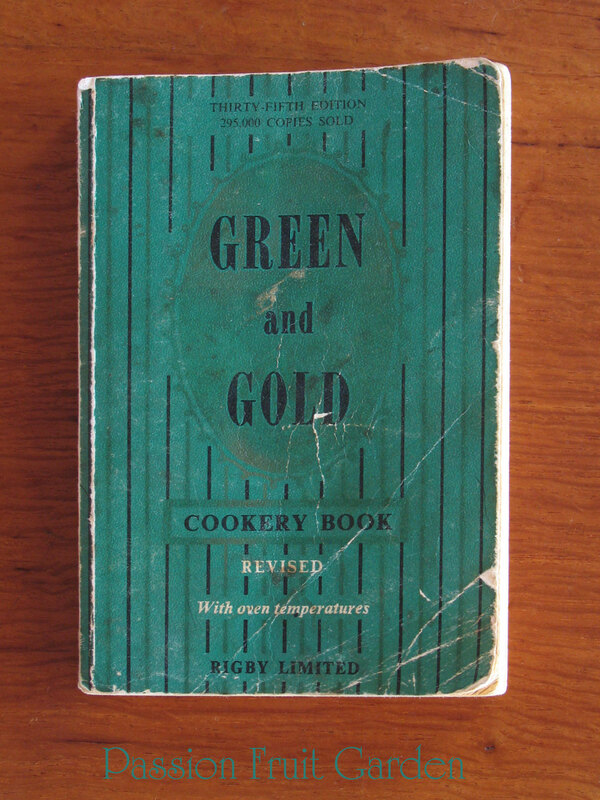 Is a battered copy of the Green and Gold Cookery Book. We were in Crafers, a cute little village in the Adelaide hills, when I spotted a charity shop. I bounded in, only to startle two volunteers unpacking donations. I hadn’t noticed but the shop was closed. I apologised, then explained I was interested in cookbooks. One lady said they had just unpacked a pile and invited me to have a look. The pile was all Women’s Weekly cookbooks which, while very good, are not particularly special and I only allow myself to buy special cookbooks. I have too many cookbooks, by far, to buy run of the mill. 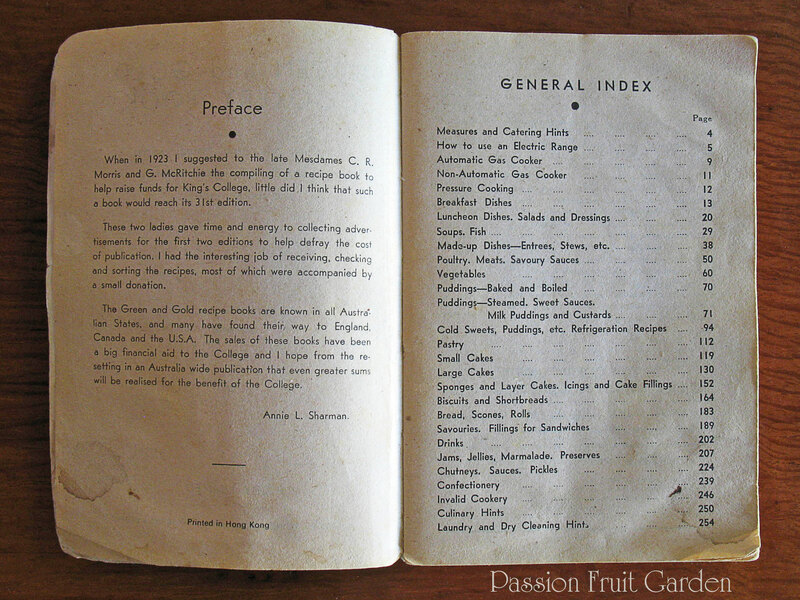 The lady then pointed out the copy of the Green and Gold Cookery book in a manner suggesting it was something special. I had never heard of it but the lady clearly thought I should be impressed. Since she had let us into the shop, I decided to buy it. What the heck? It was a charity shop. She clearly saw me coming. She asked whether I could go $5 for this battered, down and out, little book. I don’t want you to think this book has been well loved. It looks more like it has been stored in a shed for 20 years. It is covered in water stains. I was clearly screwed but I don’t mind too much because, after all, it was a charity shop. Inside, highlighting the water stain effect. Enough of our Adelaide purchases. Before we went to Adelaide, I was reading a post by Celia, from Fig Jam and Lime Cordial. 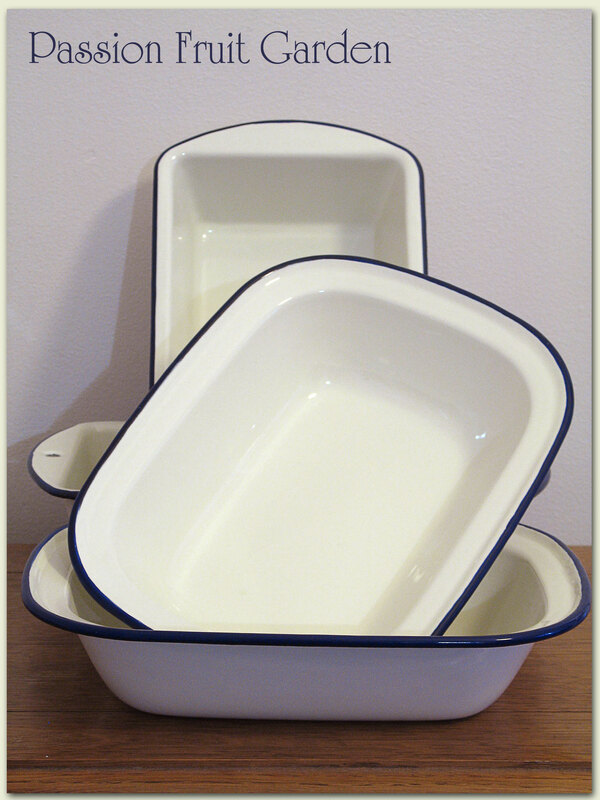 She was, again, extolling the virtues of the Wiltshire enamel roaster pan as an aid to bread baking. She also advised that they were still on special, on-line, at Harvey Norman. We have a Harvey Norman store not far from us so, one day, I asked Maus to go and see whether they had the enamel roasting pans. I honestly thought I was sending her on a wild goose chase. I am like that :). You can imagine my surprise when she came home with one. Harvey Norman had a tent outside the main stall and they were selling kitchenware at bargain prices. Maus found the roaster dish in amongst the other kitchenware. My Maus loves a bargain so, whilst she was there, she had a look around. Most of the items on sale were Zyliss and Wiltshire products. Maus went a little mad. She bought two spatulas. I did wonder why as we have quite a few spatulas but then I noticed they are heat tolerant to 320°C. That is pretty impressive. It should take Maus a while to melt them. Maus also bought some tongs. I do understand the logic here. We have some horrid cheap metal tongs in Bridgetown. Before we built the house, we had a semi livable shed. When we were cleaning out my mum’s kitchen, many years ago, I took some of her kitchenware (the quality of which left a lot to be desired) for the shed. When we moved into the house, I kept saying, “We don’t want two of everything” so we kept a lot of the old stuff. Over the years, I have forgotten the “We don’t want two of everything” rule and we now have a well-stocked kitchen. But still a few of mum’s old cheap utensils survive. Well, not for much longer. 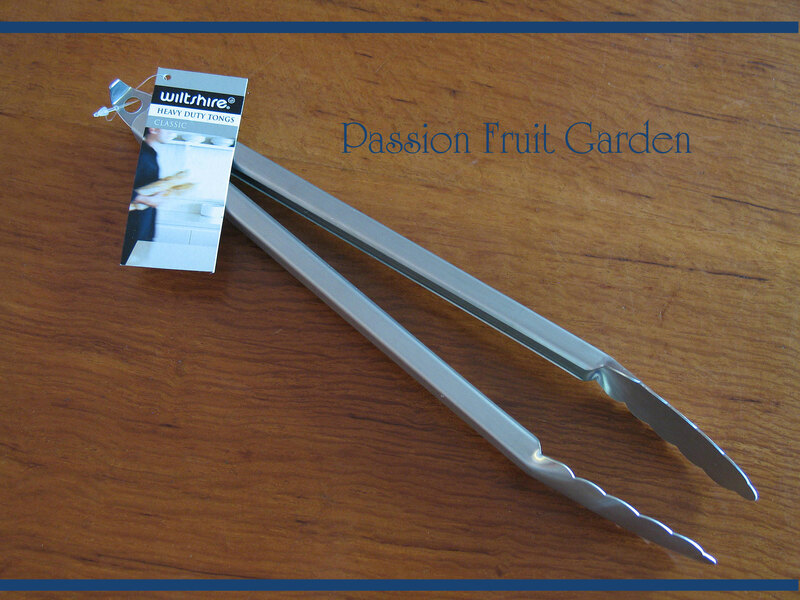 The cheap tongs, that go rusty if you put them in the dishwasher, are headed for the bin. 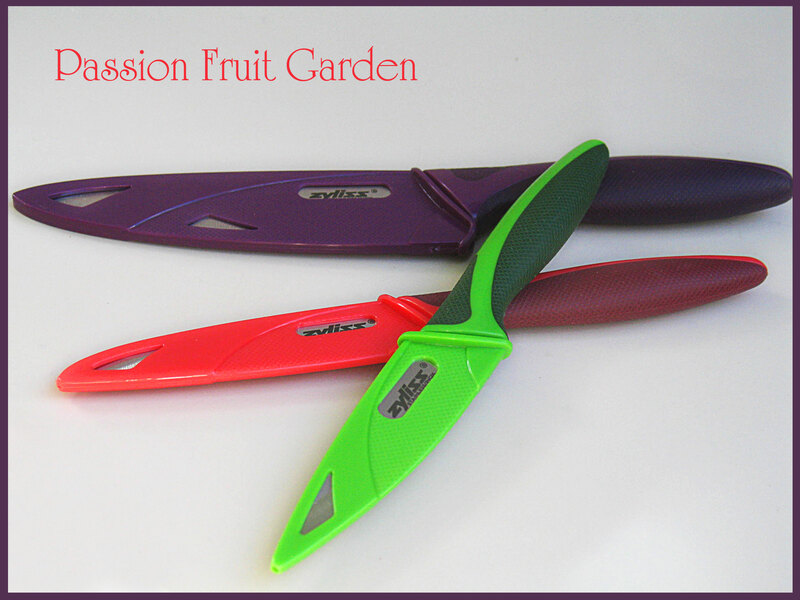 Are three Zyliss knives. I asked Maus why she bought the knives. She said it was because I had recently complained that the knife I was using was blunt. I did think, “Why not sharpen the knives we have?”, but I didn’t say a word. Later, when I asked her, again, why she really bought them, she said they looked cute. Can’t argue with that. 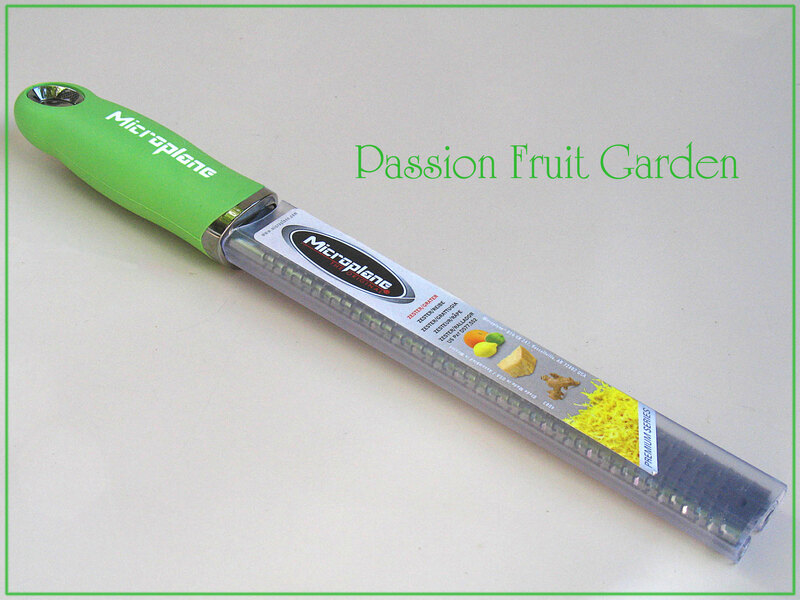 We do already have one of these knives in our car glovebox for emergencies and I can vouch it is exceptionally sharp. Is another Maus bargain purchase – a microplane. We already have one but not two (they are great). The one we have used to go back and forth with us between houses. Not any longer. I do not know what we are going to do when we have to fit into one house. Oh, well, we will worry about that when we need to. In the mean time, we well and truly have two well-equipped kitchens. Postscript: I thought I had photographed all of Maus’ bargain purchases but just now I noticed a new timer in the kitchen – as I said, she loves a bargain. Anyway, when Maus came back with her haul I was delighted (and surprised) to see she found the roaster pan. When I took it out of the box, I realised that two would fit in my oven at once and I always make two loaves of bread so I asked Maus, in the sweetest voice possible, to go back and get me another one. Now I have two roaster pans. My three sisters were visiting at the time and they were very impressed with Maus’ haul, particularly with the spatulas, so they asked Maus to get two each for them. 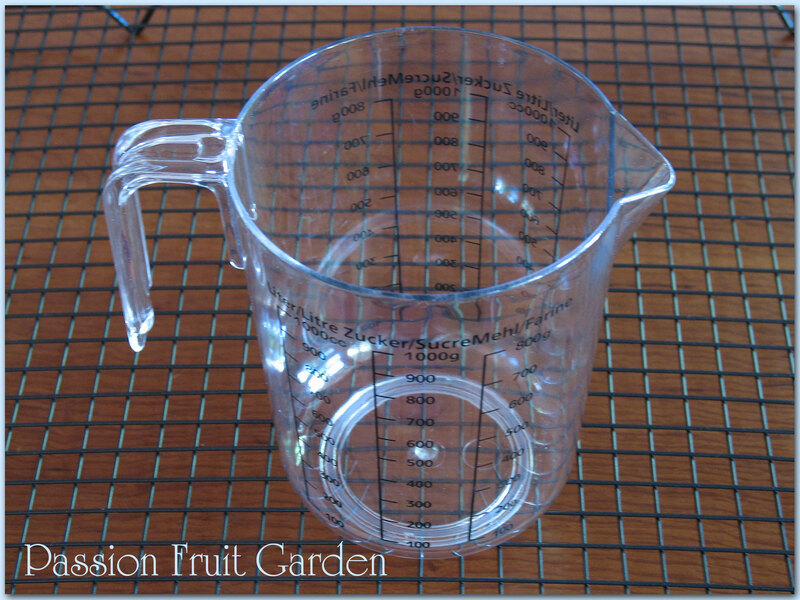 I also bought a litre measuring jug. We have a good one in Perth but not in Bridgetown, so this is for Bridgetown. The cake rack is also for Bridgetown. 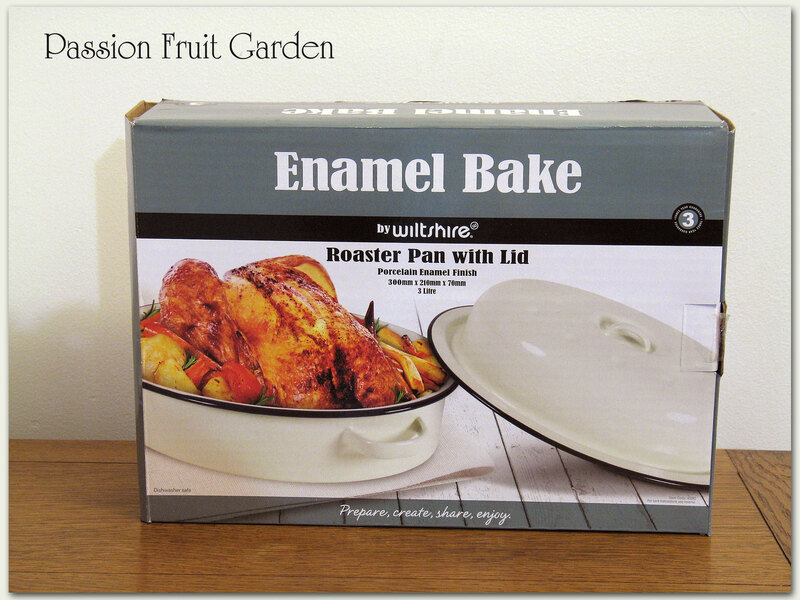 We already have one but there is usually soap curing on it when I need it for some biscuits or a cake. This is despite the fact I also have two specifically for soaps. I also bought a silicon mini muffin tray for my soap. 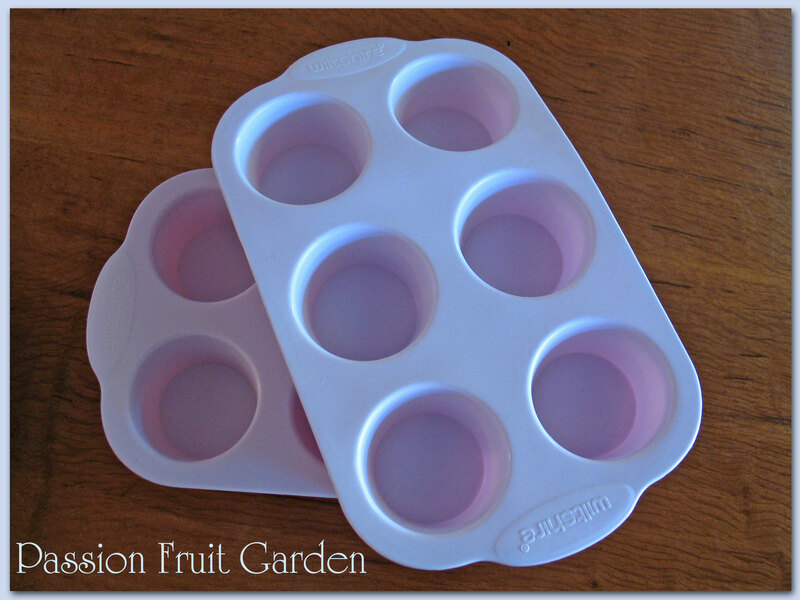 The size is perfect for guest soaps which you can make with little bits of left over batter. When I was at the tent, I also spotted a potato ricer. 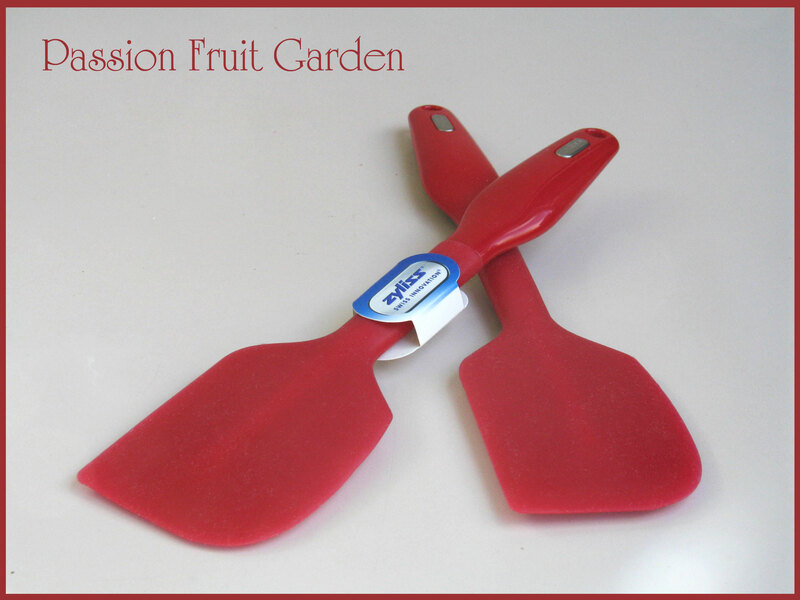 Now, that is one kitchen utensil we don’t have! I rang Maus all excited and asked her if we wanted one. To be honest, I am not sure she even knew what one was. I thought about it and decided it was silly. We rarely have mashed potatoes. 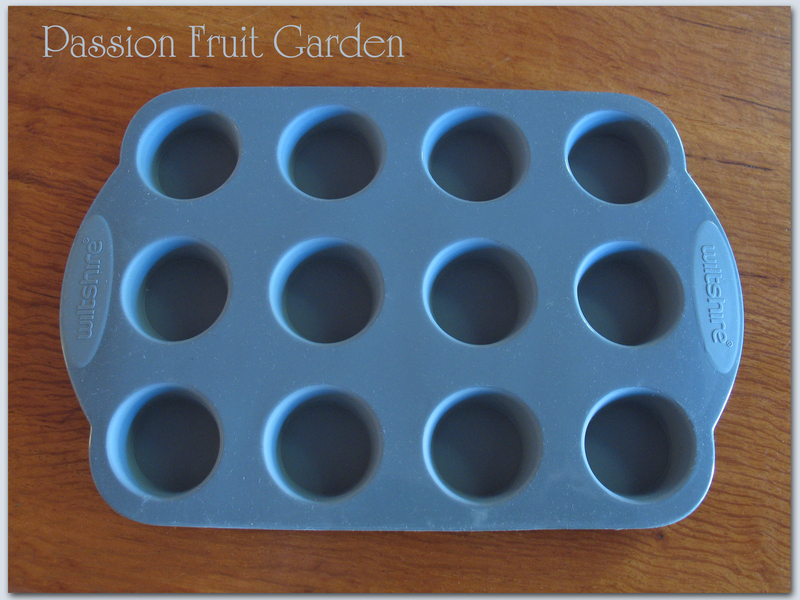 When I got home, I regretted not buying these silicon muffin trays. They would be perfect for soap, I kept thinking. So next time Maus was out and about, I asked her to go back and buy me a couple. 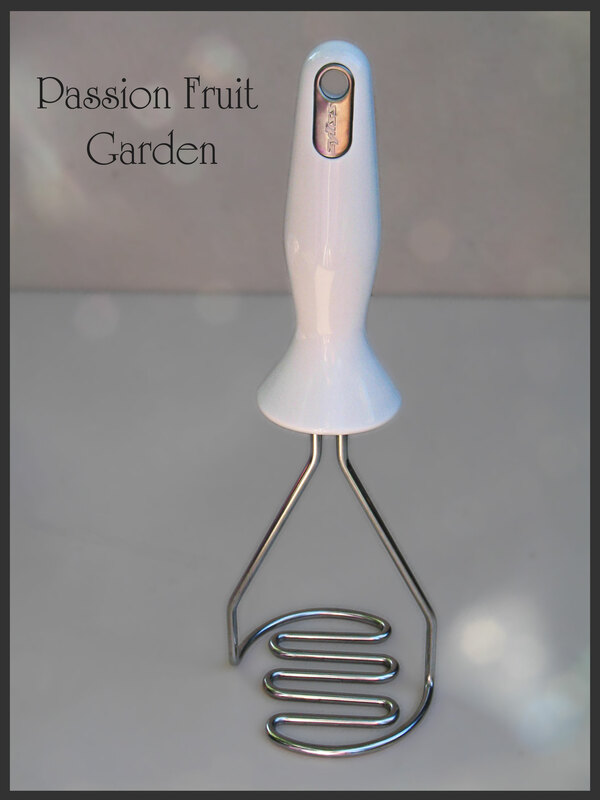 We also decided to skip on the potato ricer and buy a sturdy masher. Mum’s is off to the bin. We can’t have an In my kitchen post without some cooking. 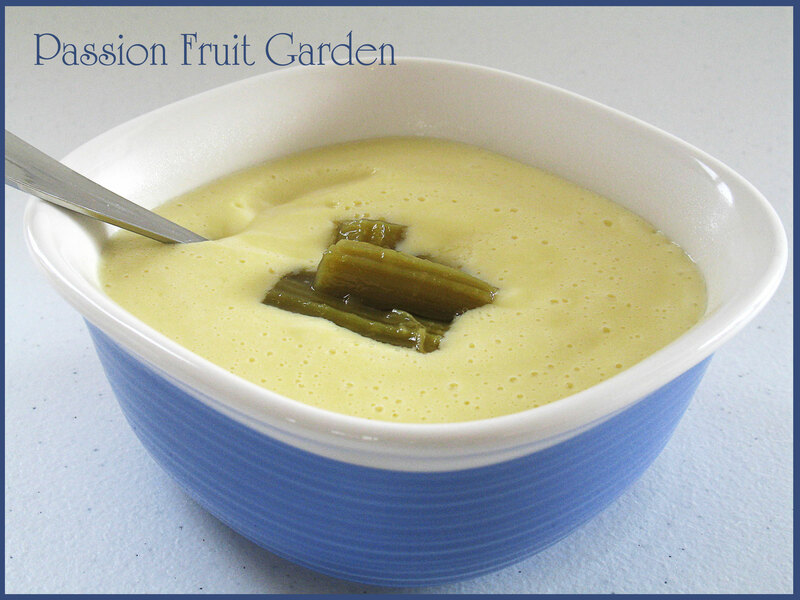 Is some of Celia’s easy microwave custard. This is real custard with no custard powder in sight. We had it for breakfast with some of our bottled rhubarb. It was delightful. now … some produce. Yes, tomatoes. Amazing, aren’t they? Alas, they are not from my vegie patch. The little cherry tomatoes are from self-sown plants on our block. Birds have been spreading the seeds but we don’t mind. 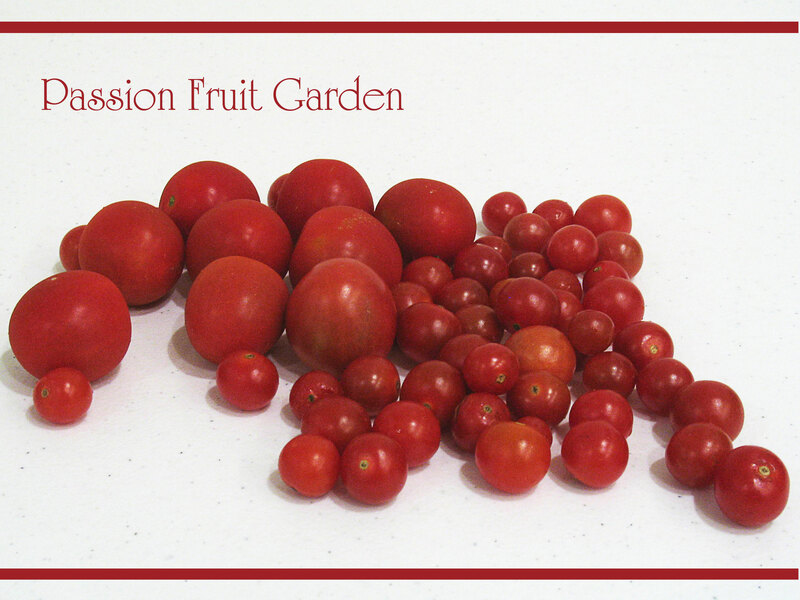 It was great to find ripe tomatoes well into winter. The bigger tomatoes, which are the size of a walnut, we found at the local sportsground. Again, self-sown. Everyday we took Jules for a walk, I would pick a couple that were colouring and leave them on the kitchen window sill to ripen. I just love it. I apologise for the length of this post. I have decided only to do IMK posts when I have something new. It just so happens this month I have piles of new things. This entry was posted in In My Kitchen and tagged Adelaide Cabaret Festival, Charley's nuts, Green and Gold Cookery Book, Haigh's chocolate, Melba's chocolate coated coffee beans, Melba's licorice bags, Spanish paprika by Glenda. Bookmark the permalink. Nancy, we had fun even if we wasted a bit of money. Well done Maus on the Microplane. They really are the best. It seems that you also don’t follow their recommendations to buy a whole set for different uses and just use the same one on multiple ingredients (it is after all, still just a grater). I love the coasters. 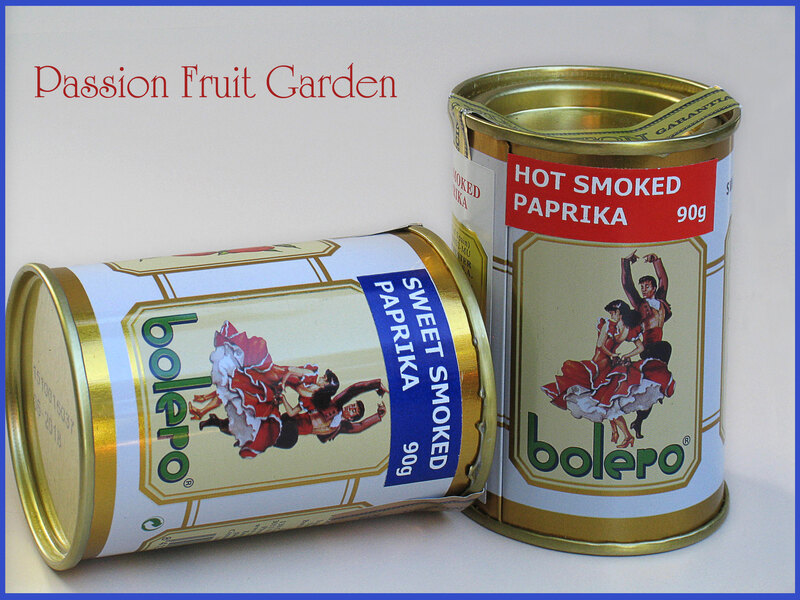 They are fun and you can pull them out in a few years for a party of get together and share stories or memories from the festival. I hadn’t heard about Charley’s Nuts so will seek them out when we are in Adelaide next year. Hi Fiona, They are Charley’s Choice from Charlesworth Nuts. They are the best, except you get a few too many peanuts. The specials at Harvey Normans certainly led to a kitchen filled with good things. The festival sounds like a great time and it sounds very well organized. Good thing you went there though no of all the chocolate and nuts you’d be missing out on! Very cool coaster too. This Harvey Norman store sounds like a place I could get lost in for a day. Good deals on some very useful items. I know exactly what you mean about the tongs that get rusty in the dishwasher, I have some too but at least I don’t feel too badly about using them after readin that the rust won’t kill anyone. I love how you’re finding tomatoes everywhere…sort of like our American Johnny Appleseed story. Ella, that is what I figured we would do with the duplicate gadgets – put them in a big plastic tub and store them in the shed. I reckon rarely used items can also be stored in a cupboard in the shed too. Of course dud gadgets can go to an op shop. 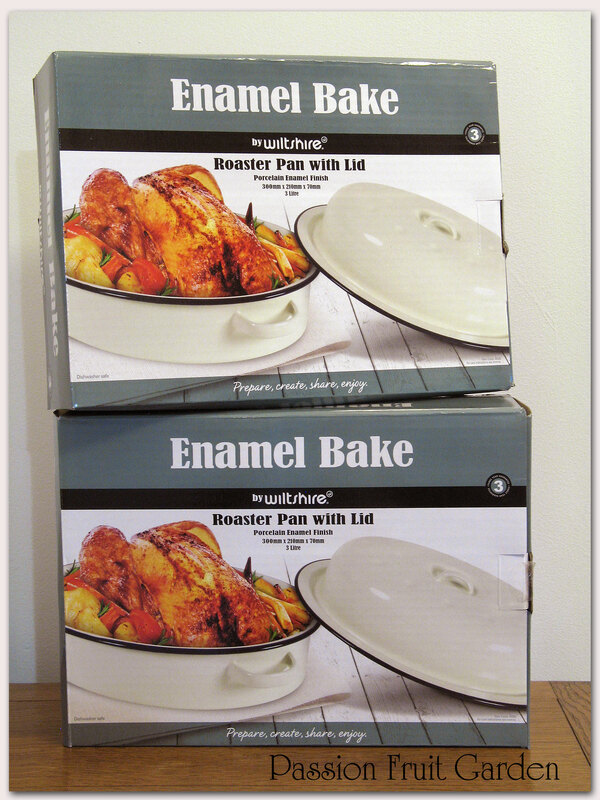 Never thought about enamel roasters for baking bread in. I’ll have to call by Harvey Norman and get one. Yvonne, Celia swears by them. Because they are light, they heat up really quickly so they don’t have to be preheated like a cast iron pot does. I am going to give it a go. You certainly scored well. The enamel roasters are like gold. I now use them all the time for bread. I like that little masher, and yes, you need a microplane in each house- essential tool. Francesca, I can’t wait to try the roasters next time I make bread. So many good things in your kitchen as always, Glenda. Adelaide is paradise for foodies. Hi Liz, Adelaide sure is a nice city. The Central Markets are just great.